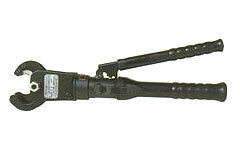 YS-30A Hydraulic Cutters: Izumi Products. The YS-30A hydraulic scissors type cutter is ideal for close quarter work and bucket truck applications where the open jaw cutter can easliy grab and cut the cables. 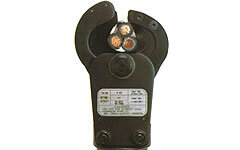 All cuts are clean with minimal amount of cable distortion, which allows for easy connector installation on cables. The handles are rubber covered for sure grip and rated at 20KV. Most internal parts are interchangeable with the S-20A, which make repair parts readily available.